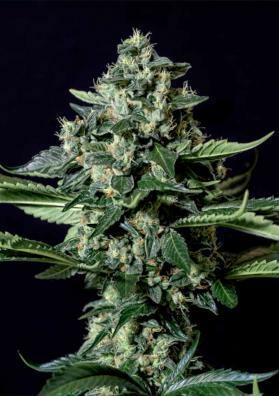 Txees Bilbo Marijuana from Genehtik Seeds is a feminized Indica strain created from the popular Cheese of UK. A super relaxing plant with an unmistakable cheese flavor. It is generous and resistant to humid climates. The team of Genehtik Seeds presents its feminized version of the famous Cheese, a strain developed in England from Skunk#1 seeds and Afghani selection. Txees Bilbo retains the unmistakable stale cheese flavor and aroma from the original Cheese and the relaxing effect easy to withstand that can accompany you throughout the day without killing you. As a plant, Txees Bilbo has an Indica apperance with wide leaves, medium height and a bush form. Because it is very easy to grow it is well suited for both indoor and outdoor cultivation and is especially resistant to humidity. It is a very generous specimens for breeders since its flowering period is fast and in only 40-60 days in a room or in October in the garden is able to give you 450-500 grams of high-quality weed per square meter.